To encourage the research orientation of keen researchers in the discipline of Finance, Economics and allied areas. To understand details about steps and statistics involved in simple research as well as of advanced levels of time series and panel data analysis using different software. Research Scholars, Professionals from Industry and Academicians from Technical & Management Institutions are eligible to participate. 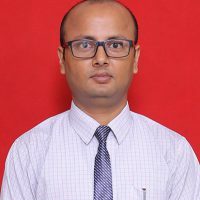 Prof. Gupta is working as Professor at Department of Financial Studies, South Campus, University of Delhi. He has teaching and research experience of more than 35 years. His main area of research includes Investment Decisions, Risk Analysis, Project Appraisal, Security analysis, Decision making and Financial Modelling. 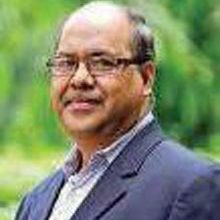 He has presented research papers in International and National Conferences and is continuously working as the Resource Person in the field of Research for various, Faculty Development Programmes, Seminars & Workshops. Besides being a keen researcher himself, it’s always his endeavour to promote and encourage people and associates to pursue and contribute quality research work. Ananya G. Dastidar was educated at St. Xavier’s College, Kolkata where she did BSc. Economics (Hons) and at C.E.S.P., JNU, where she did her MA, MPhil and Phd in Economics. She started her teaching career at the Dept. of Economics, Delhi School of Economics and thereafter joined the Dept. of Business Economics , where she is currently Associate Professor. She has supervised several Mphil and Phd theses and her research interests lie in the area of International Economics and the Economics of Development. 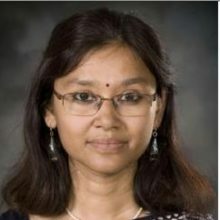 Her recent publication includes “Economic Theory and Policy amidst Global Discontent” (published by Routledge), a book she has edited along with Rajeev Malhotra and Vivek Suneja, in honour of her Phd supervisor Prof. Deepak Nayyar. Presently working as Area Chair-Finance at Rukmini Devi Institute of Advanced Studies, Rohini, Delhi, affiliated to GGSIPU. His areas of interest are Financial Econometrics, Investment Management, International Financial Management and CSR. He has contributed acclaimed publications in reputed journals both National and International. He is continuously working as the Resource Person in the field of Research applying various statistical tools. He is also the reviewer of National and International Journals. He has organized many workshop and Faculty Development Programme on Research Methodology. All participants will be awarded Certification of Participation upon completion of the program.